Have you ever wondered how Trienergia modules are produced? We at Trienergia strongly believe in the value of an Italian product, made in Italy, that bases its roots in the territory, from which we draw inspiration and on which we want to build the future. Watch the video to follow the production of the 60-cell Trienergia module step by step. 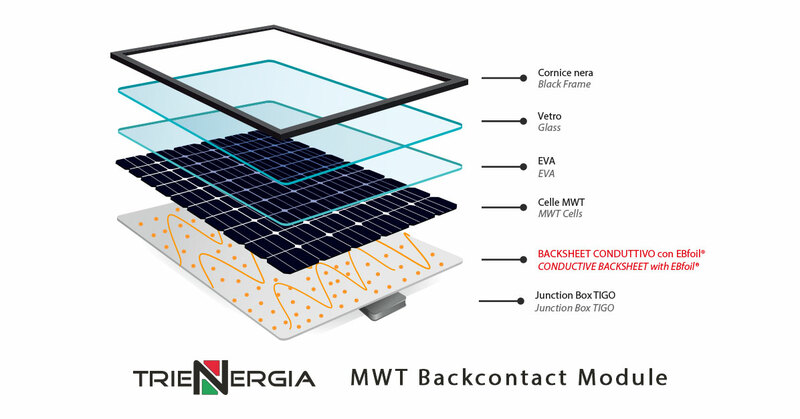 The video shows all the phases of the production process of the innovative high efficiency Trienergia photovoltaic panels, realized with the latest generation backcontact technology. Would you like to visit the company? Click here and leave us your contacts, we will call you back to make an appointment!